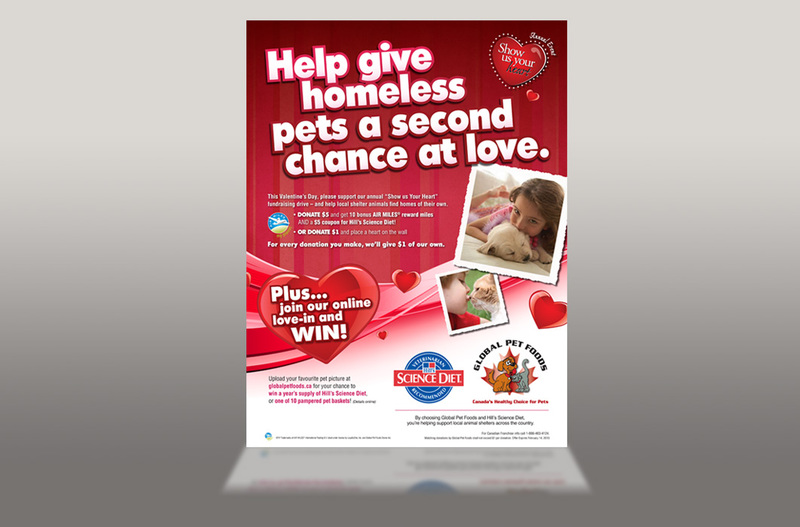 Strategically positioned during a historically slow sales month, the Annual Show Us Your Heart™ event was conceived to encourage Pet Parents to show their good natures through in-store donations that would directly benefit pets in need at local shelters in their communities. The fully integrated annual retail marketing campaign consisted of advertising, direct mail, promotional posters, social media contests, website design, national radio and television commercials. 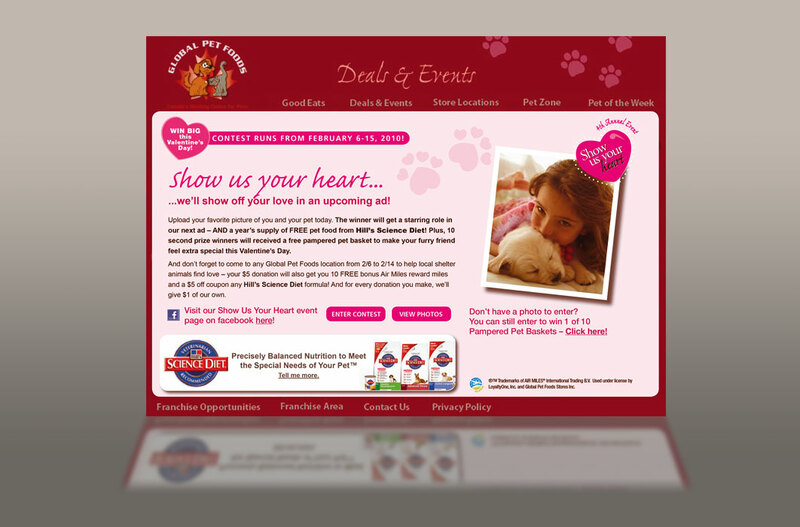 To date, this campaign has raised over 1.25 million for deserving pets.